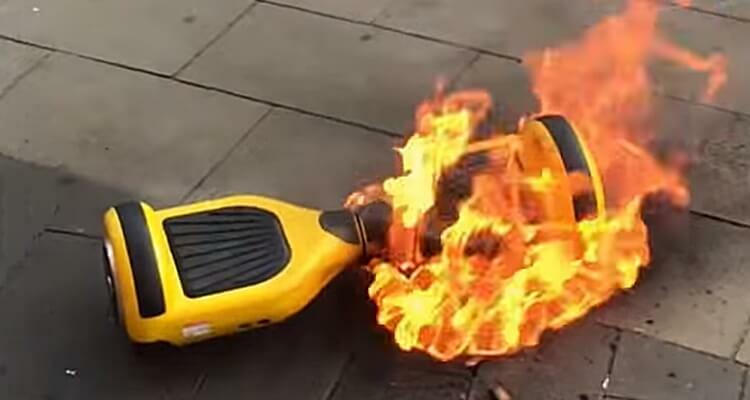 Halo hoverboards are famously the best type of hoverboard you can get, being endorsed by the likes of Justin Bieber and Kylie Jenner. 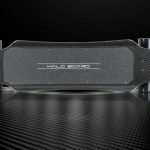 Alternatively known as the self balancing scooter, these boards were originally perfect for indoor travel – but now with Halo’s release of the Rover, you’ll find yourself confidently riding over gravel, sand and grass, so Halo claims. But is it worth the money? Find out in our Halo Rover Review. 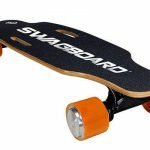 Just like its sister product the Halo Board 2, the Halo Rover is packed full of features, many of which are fun, and many of which add to the reliability and safety of the board. The Halo Rover is a powerful hoverboard, and Halo seems proud of the fact that it supposedly irons out the many kinks that hoverboards are renowned for, such as the Ride-Assist feature which adds metaphorical training wheels onto the notorious learning curve that comes with hoverboards, as well as the 3 rider settings (beginner, intermediate, advanced) which control the speed, providing another way in which you can pace yourself and cater to your level of confidence. But is this worth the hefty price tag? We think if you’re looking for a solid long term purchase, then yes it is. The main feature that helps the Halo Rover stand out is the addition of the big, chunky tires that help it ride over pretty much any terrain. One of the most eye-catching features of the Halo Rover is the app! There is a free Halo Rover Mobile App available on Android and IOS, which will track your speed, battery life, distance, map your ride, and power on and off your Halo Rover! The Halo Rover has 3 training modes – Beginner, Intermediate, Advanced. 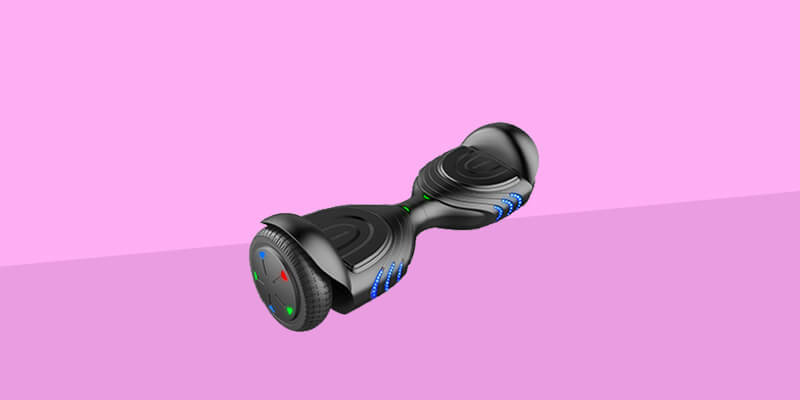 These modes provide increasing levels of speed for the rider, so that they can progress safely on their hoverboard. You can switch between these modes by using the app or manually, using the ‘on’ button. 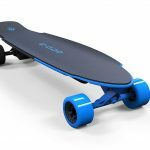 It also has Ride-Assist technology, so the board is balanced at all times, regardless of whether or not you are standing on it. Warning Indicator Light – A red light for if there is an issue with the board. Balance Indicator Light – A green light when the board is in Balance Mode with the rider standing on it. Battery Status indicator Light – A green light for when the board is on. Battery Level indicator Lights – This consists of three different coloured lights which show the level of charge on the battery. The Halo Rover also provides the fun addition of built-in bluetooth speakers. 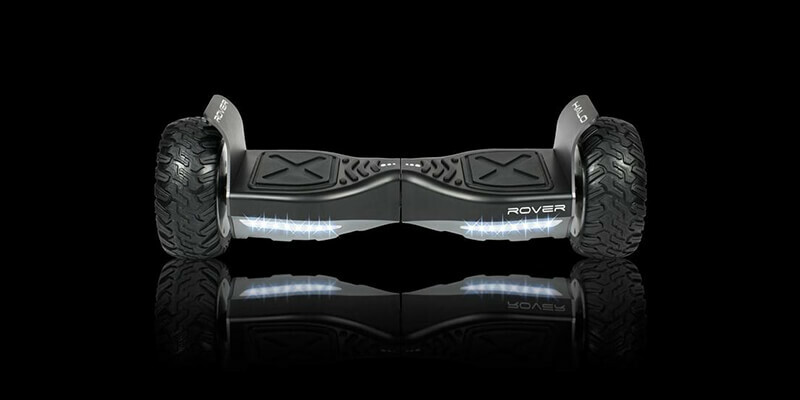 These work while on and off the rover, moving or stationary, all you need is for the board to be on for these to work! 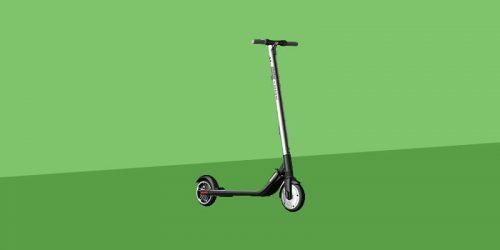 This is a selling point that plenty of self balancing scooters utilize to make their product more desirable, but nonetheless is an entertaining feature. It also includes a set of LED headlights for helping to see in the dark and low light. 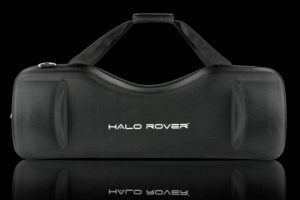 The Halo Rover is anything but light, with its 32 lb weight, so I’m sure you’ll be glad to know that the Halo Rover comes with a carrying case! The Rover also has a 1 year warranty and comes in a range of colors. It is advertised as water resistant, this is determined by its IP rating, meaning how much water a product can withstand. The Halo Rover has an IPX4 rating, which means it protects from splashing water. In other words you can ride it in light rain and through small puddles. 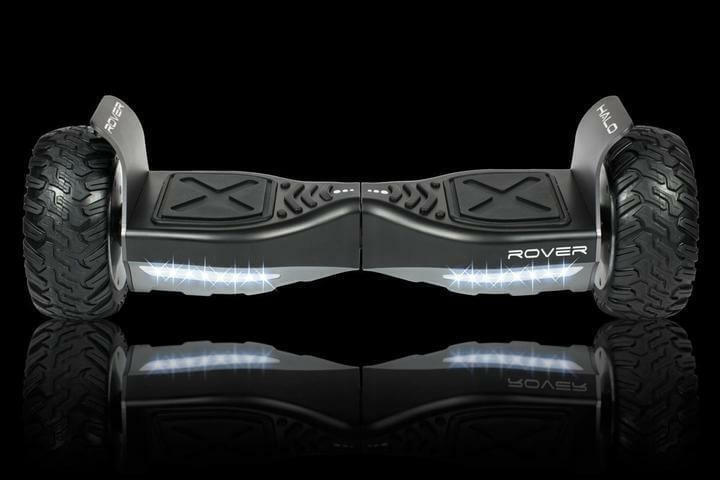 The Halo Rover is UL2272 certified, which is a safety certification specifically for hoverboards and self balancing scooters. UL stands for ‘Underwriters Laboratories’ and has been around for over a century, specifying in product safety testing. So rest assured that if the Halo Rover has passed this safety test, it’s of the highest standard (and will not explode!). In terms of speed, the Halo Rover can go at a maximum of 10mph, which doesn’t seem that fast, but for a hoverboard is pretty impressive, wait until you’re riding it to see what I mean! 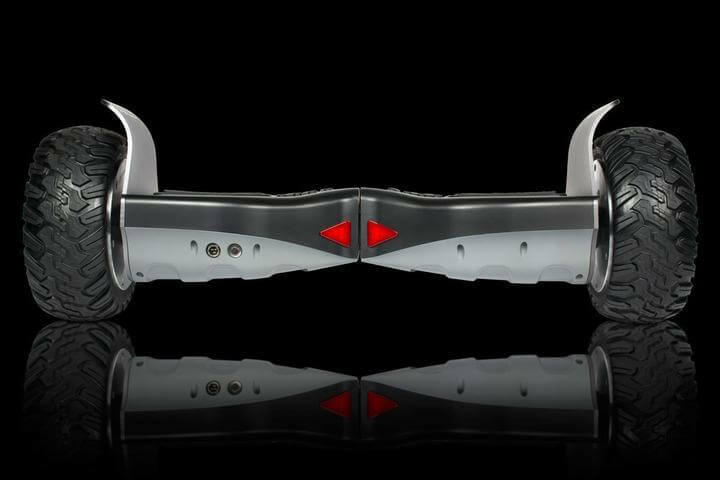 The Halo Rover advertises itself as an all-terrain self balancing scooter (which might explain the price tag), and it seems that Halo put in effort to ensure this product isn’t just perceived as a gimmick as so many hoverboards are. 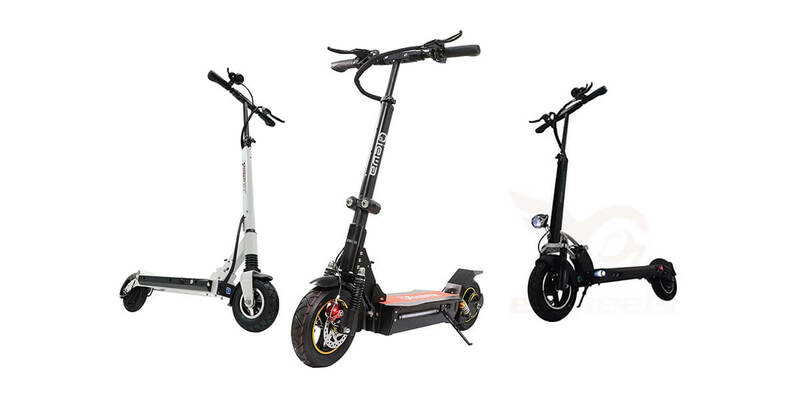 The motor is comprised of dual independent motors and produces 800 Watts of power, this is enough to solidly get you over any relatively uneven terrain, such as grass, gravel or sand. Even more so when combined with the tires, which were clearly designed with multiple different types of terrain in mind. 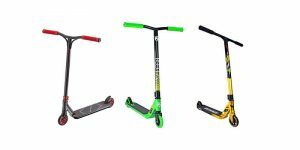 They are 8.5” ‘indestructible’ never-flat tires, which means they’ll continue to work even with air loss if it is punctured, and they have solid grip on them, solid enough that you’ll feel confident on hills of up to 20 degrees incline. The battery is an LG Lithium Ion battery, and has a 4 year life span. This battery can give a max range of around 10 miles, or 2 hours of travelling time, and can be fully recharged in only 2.5 hours. The Motor – We most definitely love its powerful motor, allowing it to travel up a 20 degree incline and having enough torque to ride comfortably over almost any terrain. 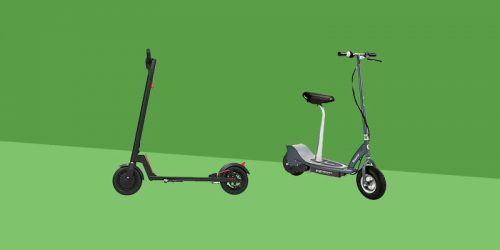 Battery – The 10 mile range is very good, but when added to a good recharge time of 2.5 hours and the 4 year life span and you’ve got a great deal. 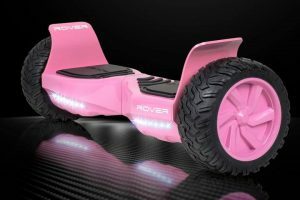 Responsiveness – The responsiveness combined with the top speed are really fun, once you get the hang of things you will feel solidly in-control and adept at hoverboarding. The Soundsystem – Whilst it’s a nice idea and I can see some people getting use out of them, the speakers are not top quality. In reality I won’t be using them aside from a bit of fun. However if they were any better you’d be paying a lot more for speakers you probably have in your home already. 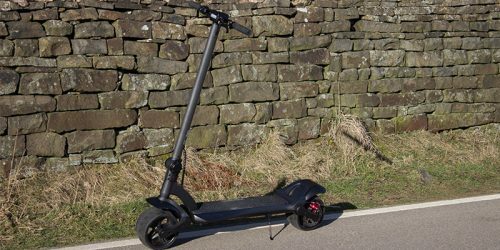 This board provides a lot of positives, it’s a heavy duty all terrain self balancing scooter that delivers on its promise to be the best in the business. It’s high quality in a lot of ways, for example the aluminium frame and the never-flat tires. Assuming you want a hoverboard that can go off-road as well as on road, this is a great purchase, almost definitely the best you will get. 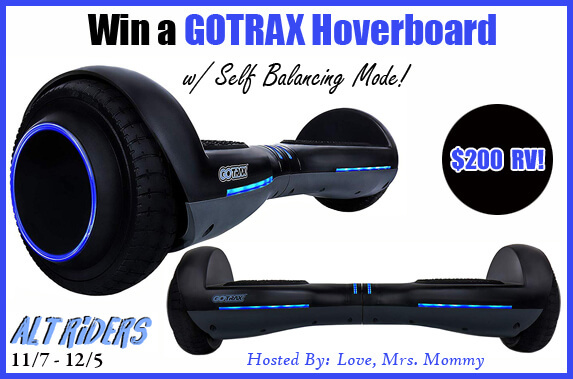 If you’d like to know more about Halo Board hoverboards, then we’ve also reviewed the Halo Go 2. 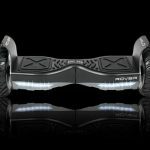 If you’re looking for more general information on hoverboards then check out the hoverboard section on our website.